"A Good Project management Management Tool"
We mainly use the software in the research and communications department. With the software we are able to easily manage project. It is an information sharing tool for the teams involved in the project. We like it because It has an easy to use interface . I also like its customization feature. The Kanbad board set appears too busy compared to competitors such as ProjectLibre and Basecamp. It is a tool that I would highly recommend. With it you are assured of easier management of projects. We are mainly using it in management of multiple project. It is a collaborative tool that help up in sharing information with the teams involved in the projects. Currently, am not using since am on a one week meeting overseas but the Software is really helpful to our department. "Probably my Favorite Management App"
It combines what I like about some of my favorite productivity/scheduling apps into one package. While it's a fantastic program, the price is a little steep for some more casual workers and small work groups, and really works better in bigger settings with more disposable income. I think $360 per person per year is a bit much (or $1 per day). With Trello and Google Docs being free, those are more attainable for the common person and can get the job done easily, so there isn't much of a NEED to drop so much money for this program. If you can't make the price work for your budget, there's other ways of getting the same effect, but ProjectPlace really is a fantastic resource and very helpful in a busy workplace if you can swing it. Getting multiple people on the same page to complete a task and to know what's going on in the workplace. Communication is key when there's multiple people working on different, but connected, assignments. It's incredibly visual and well-designed. It's user-friendly and fairly intuitive. It's easy to see who is doing what, and I love the graphics. Not super into conversations - prefer G chat. It also seems like it would be the best fit for large consulting or analytics groups. Those with smaller/easier projects may not use all the features. I'll admit I'm not entirely sure how to make the best use of it right now. Would definitely recommend for those who have to bill time, consultants or others managing large or remote teams. I'm always looking for ways to manage my time - and what other people are doing - and would like to, long-term, rely less on email. Projectplace can easily replace annoying email threads. "Efficiently covers planning and everything that is expected from a project management program"
Communication is something to which I attach great importance, and Projectplace's assessment in this regard is very positive. The options of interrelation between team members, even with people involved outside the team is very complete. From my point of view, the section that I see worst solved is related to the control of the workload. I see it as not intuitive and its handling is cumbersome. Grouping the workload in blocks of natural weeks seems ineffective. When there are tasks that must be executed in less than a week, or be completed in the middle of one, you need to better specify that workload. I see it as not intuitive and its handling is cumbersome. Grouping the workload in blocks of natural weeks seems ineffective. When there are tasks that must be executed in less than a week, or be completed in the middle of one, you need to better specify that workload. The assessment of this tool depends, as always, on the needs that one has. It is true that it covers a wide field of the requirements of an application for project management. If those deficiencies that I have found or that you can see are not relevant to you, this may be your management program. If the price fits your budget, go ahead with it. "Helpful tool for complex projects"
Project Place allows for different groups of people and individuals from different groups to work together and create more intricate tasks and webs of tasks using cards. The cards and boards allow for a visual for people who need visual project planning, and there are other features that assist for all types of organizers. It can become complicated if you do not keep your project organized. It is best to assign organization to one person or a team dedicated to just this. We are integrating to a new software platform and the project spans multiple offices and multiple teams of people with different skills. Project place helps keep everyone’s tanks in one place. I haven't used this long enough to have a favorite feature yet, but it is fast and there are lots of helpful tools to help me learn which i really like. I do not like the verbiage that is used. the layout is also a bit overwhelming. I am working on finding a software that we can use with our vendors in China to track production and development progress of our new designs. I like that you can see across teams, and get a high level visual of what is going on, timelines, etc. I also like that you can see a summary of how many projects are in the pipeline, what is next , etc. Lastly, I like that you can easily drag products from one category to another - such as "currently working on" to "finished". In general, I find the UI to be very cluttered. It's not super easy to navigate or update, and not very intuitive. From the dashboard, it always takes me a bit to figure out what I need to click on in order to see what I need. Or, when someone tags me in a card/task - it's not immediately obvious where their note is. Also, not clear how to pull data from the platform to use somewhere else - such as Tableau. Increased visibility and following project timelines. It is good to make sure no projects are conflicting, and figuring out who to assign and what to assign depending on their availability and what else they are working on. It is an easy way to get a high level idea of what is going on in a team/company and then drilling down to understand which specific tasks are getting completed. Visualize commitments and engage your team with agile Kanban boards. Get an overview of project progress across teams and projects – anytime, all the time. Less Effective in Shared-Resource Situations. Product Mix or Demand Changes May Cause Problems. The kanban system assumes stable, repetitive production plans. The Kanban System Does Not Eliminate Variability. Very Much recommended. I highly recommend using this software. "What It Does, It Does Well"
One stop shopping for Kanban, Gantt, File Sharing, Comments, tight integration with Planview (owner of Projectplace). This was a quantum leap above the SharePoint lists and Excel project plans we were going to use before being introduced to this. Had some problems with very large Excel documents (13mb) not coming through properly. Putting the Gantt view behind the highest paywall is a bit of a blatant money-grab, but that would only effect non-corporate users. We tried to expand the use of this tool here, but it was not viewed as being favorable to other tools that more tightly integrate with the code/build/test cycle. 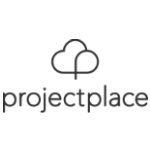 Projectplace was used to coordinate the rollout of a different tool into our corporate IT environment. By using a tool outside of our own network it made it much easier to collaborate with the vendor without having to invest in VPN connections so they could access our internal SharePoint sites. "Great project management tool for all industries." Very easy to use interface. Easy to understand and assign tasks to peers. The boards and phases help manage projects effectively. The software is way too expensive for the time it saves. This makes it a less value for money alternative in the market. Be pateint with learning the software. Once you learn all the ins and outs it is very useful. Giving everyone tasks and being able to easily follow up. We benefit by having a whole visual of open projects and being able to manage in one place as where previously we were just using emails and a lot can get unorganized and not followed up correctly. "Simple project management platform. " The visuals and AI are really clean. The kanban board is really helpful to use for projects. The system also features collaboration and communication at every level of the project. There is no portfolio management, but for project management they are fantastic. I would also check out Innotas by Planview this is more robust and includes advanced analytics, resource managmement, and portfolio managment. But if you need a simple solution ProjectPlace is it. Its was easier to pick up and use than LiquidPlanner. Increases collaboration on jobs. Easy to allocate resources onto projects. The simplicity of use and the structure of the boards is great, it allows the product to be flexible based on what project management methodology you desire to use. "Probably not the best solution available"
The third party integrations with box, dropbox and google drive are very useful. The mac and windows desktop applications are also very intelligently designed. Explore the free or the more inexpensive options before trying this. It is great for keeping track of my projects. The dashboards give me a good visual overview of how my project is progressing. "Good online tool for project management"
I like the fact that it was easy to use and easy to assign task to one another and keep projects organized. Although it was easy to use, it was oo expensive for the little little that it did. If it cut my project time in half then it be worth the price. It keeps projects organized and make assigning projects easy. Had issues with large files, mostly in Excel coming through properly. * We monitor all Projectplace reviews to prevent fraudulent reviews and keep review quality high. We do not post reviews by company employees or direct competitors. Validated reviews require the user to submit a screenshot of the product containing their user ID, in order to verify a user is an actual user of the product. Hi there! Are you looking to implement a solution like Projectplace?